Workpoint news reported of an exciting incident that took place on the 1st of December this year. 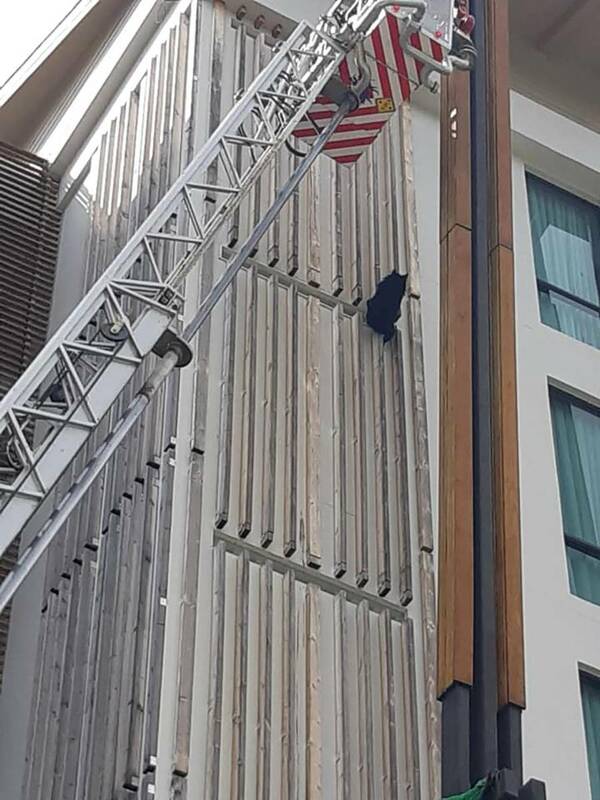 At Pak Chong district, Nakhon Ratchasima province, Near the Khao Yai National Park the officials were notified of a black bear climbing a condo in the area. Upon closer inspection, it was found out later that this was an Asian Black Bear that is about 2 years of age. The bear made it all the way to the 6th floor on the side of the condo. It is estimated that the bear must have come out to look for food, or simply being playful in exploring the area, by the time that the bear realized how high up he was, it was too late for him to climb down on his own safely. 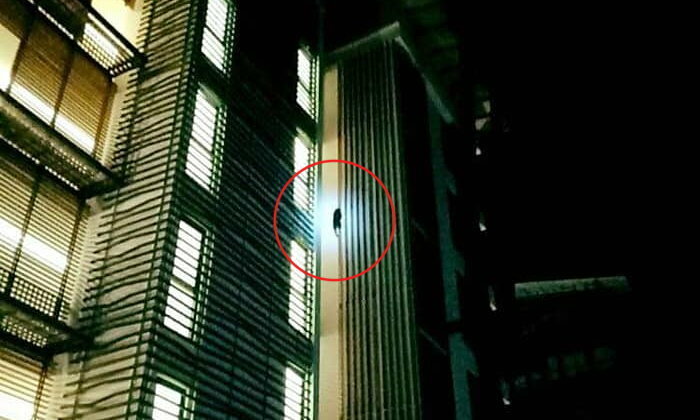 Another reason is that he might have been frightened by humans and sought safety by climbing up the condo. 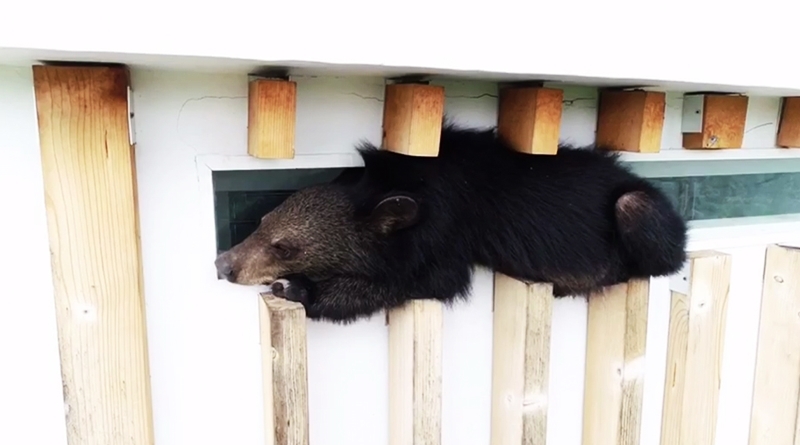 The baby Asian Black Bear around the age of 2 years old with the weight of 70 kilos climbed up so high, he couldn’t climb down on his own. This adds to the fact that his energy ran out due to the lack of food and water, so he had to hold on to the building in order to not fall down. A team of vets in the area came together to help find a solution for a successful and safe rescue of the bear. They ended up shooting the bear with a tranquilizer then captured him with safety equipment. The bear was rescued successfully and is in healthy shape. 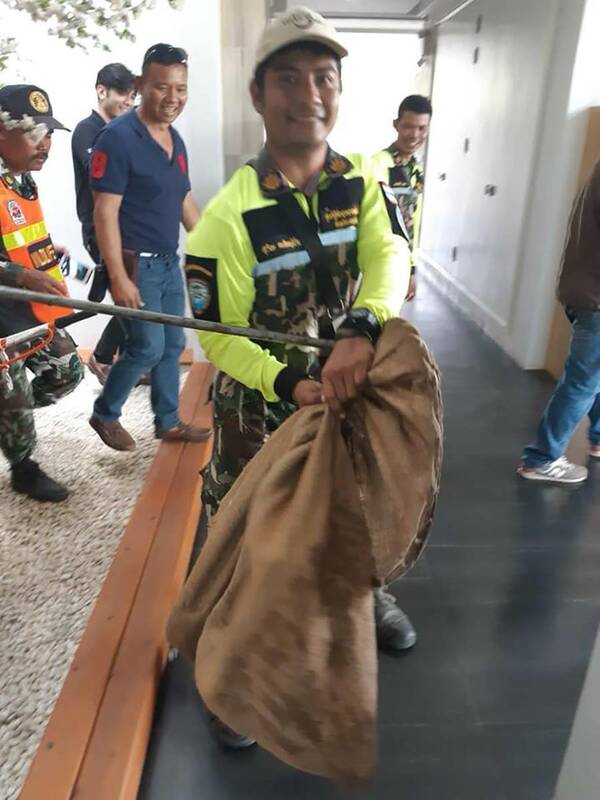 As a health measure, the officials will be keeping watch of the bear within the National Park for a few days before releasing it back into its habitat within the Khao Yai National Park. 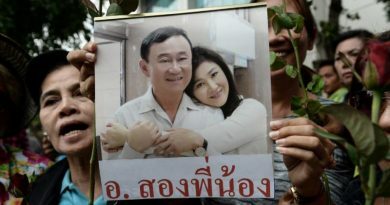 Kunchit Sinpawan who is the leader of Khao Yai National Park reported that he was notified of a bear on a condo at around midnight on the night of November 30th. He sent officials to the condo right away, they watched him all night to make sure that the bear is safe. This is the first time that the Asian Black Bear came out from the wild in the Khao Yai National Park to search for food on a condo building. Kunchit states that the bear is at the age that had just stopped nursing from his mother, where he is just beginning to hunt for food himself. There have also been reports of Black Bears coming out to villagers farms to search for food. A few days ago a driver died from crashing into a wild elephant on the road. 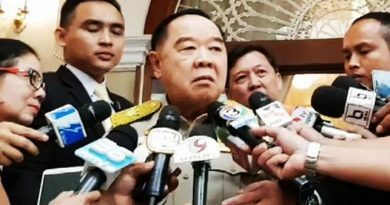 Kunchit advises to please notify the officials if there are sightings of any wild animals and to never attempt to capture wild animals for the safety of both parties. FB Caption: The bear was rescued successfully with the help of wildlife officials and a team of vets. 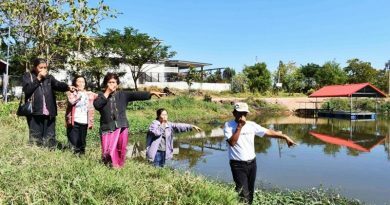 Hotel dumping wastewater into the main water source, Kalasin city.